Our team is dedicated to providing the comprehensive cooling services you need for your Richmond Hill, ON home or business. 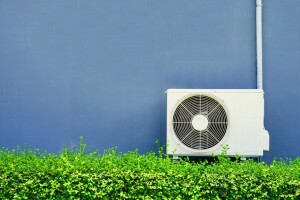 Cooling Services in Richmond Hill– Are you worried that your air conditioner may not make it to the next warm season? Have you noticed that it isn’t cooling properly and is making noises? At Premier Home Comfort, we know how important it is to be comfortable at home and at work, so we offer comprehensive cooling services to meet your needs. Cleaning – Sometimes your air conditioner simply needs a tune-up, which involves something simple like our cleaning service. We know what to look for and how to clean your air conditioner so it continues working when you need it most. Repair – Whether it’s a minor fix or you need a new part, we can assist you with air conditioner repair to help preserve your system and keep it running its best. You’ll feel secure knowing your AC unit is operating like it should. Replacement & Installation – If your old air conditioner has decided to stop working and repairs will not adequately resolve your problem, our cooling services include air conditioner replacement and installation to keep your home or business comfortable. We are an authorized dealer and can help you select the new air conditioner that meets your needs. At Premier Home Comfort, our team is dedicated to providing the comprehensive cooling services you need for your Richmond Hill, Ontario home or business. We’ve been helping customers with their air conditioning, heating, and other HVAC needs for 20 years, and we offer service 24/7, so you can always get the help you need. Contact us today if you would like to schedule an appointment for cooling services in Richmond Hill, ON. We are available to assist you!